Do you want to create added value for your event or your sponsors? Add a static banner above or below your screen! Eyes are already focused on the jumbotron screen, so you might as well use that valuable space to make your sponsors happy or get a message to your audience. Our LED DragonFly screens have space above and below the screen for sponsors’ banners. *Note: Be careful that load-in and set-up allows for the screen to be placed with the driver’s side facing the crowd, as we can only place the lower banner on one side of the screen. If not, the banner will be facing away from the crowd. 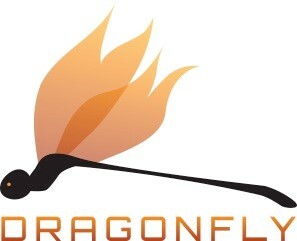 For more information, you can download our DragonFly static banner help sheet here. 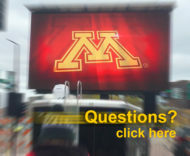 Or you can call us at 612-759-1012 or email us at baum3@earthlink.net with any questions about static banners or our mobile jumbotron screens. 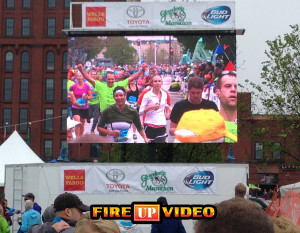 Fire Up Video provides Mobile Outdoor LED Jumbotron Screen Services to any event in the United States or Canada. Centrally Located in Minneapolis, St. Paul and serving MN, WI, ND, SD, IL, KS, NE, IN, TX, CA, & More. © Copyright 2019 Fire Up Video. All Rights Reserved.